With Flymaster firmware newer than v2.00 the instrument now generates and signs the IGC file within the instrument rather than relying on GPSDump. 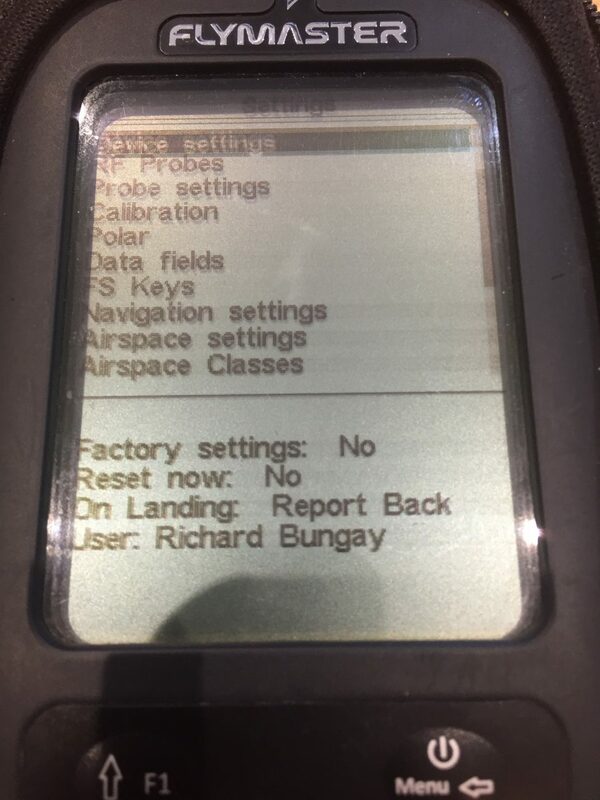 This does mean though that you now have to set the “Pilot Name” in the instrument, this needs to be done before your next flight. Open the “Menu” and select “Settings” and then “Device settings”. Here you will find the option to add your name under “User” as shown below. Rather than entering your name using the scroll buttons on the instrument, it is easier to enter the name on a Computer using GPSDump. 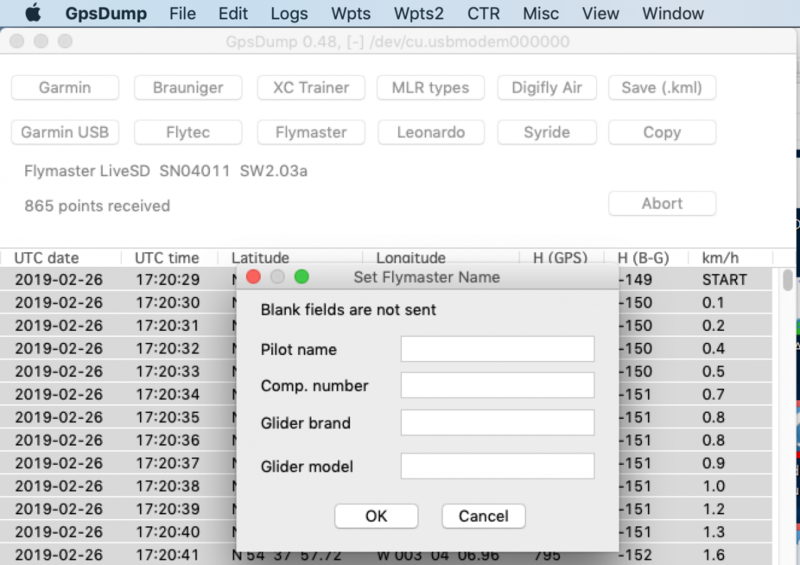 In the GPSDump “Misc” dropdown menu you will see an item “Set Flymaster Name” as shown below. A Dialog box will appear where you can enter your name. Only the name will be added to the tracklog IGC file so it is not necessary to complete the other fields.